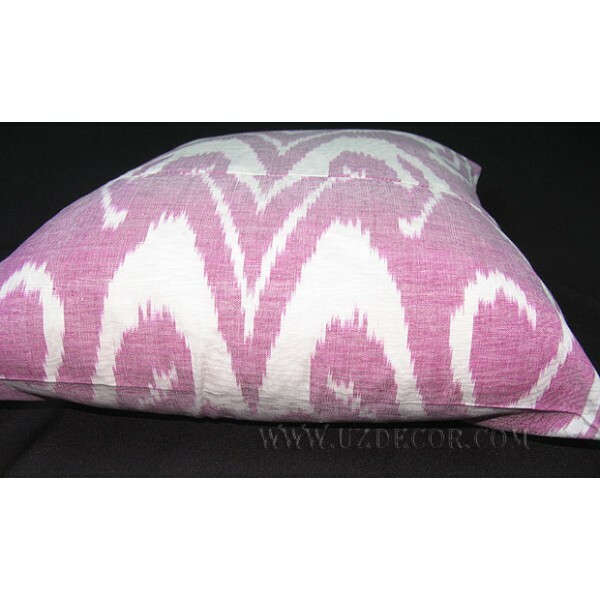 Ikat is one of the most interesting part of Central Asian Applied Arts and the most prestigious and beautiful fabric. It is also known in Persian as 'abr' for 'cloud', in Turkish as 'ipekshahi', in Arabic as 'asab', in Hindi as 'patola'. 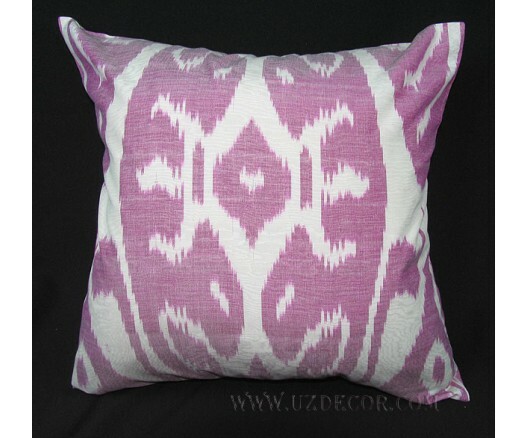 Like a cloud Uzbek Ikats display a great variety of patterns, may be composed of several combinations of materials and may be woven in both simple and complex structures. In their ornament geometrical, floral and household objects were combined: ovals, shrubs, trees, ornaments, etc. The single features shared by all of these extraordinary textiles is the complex dyeing process which is undertaken before the individual elements are arranged upon the loom. 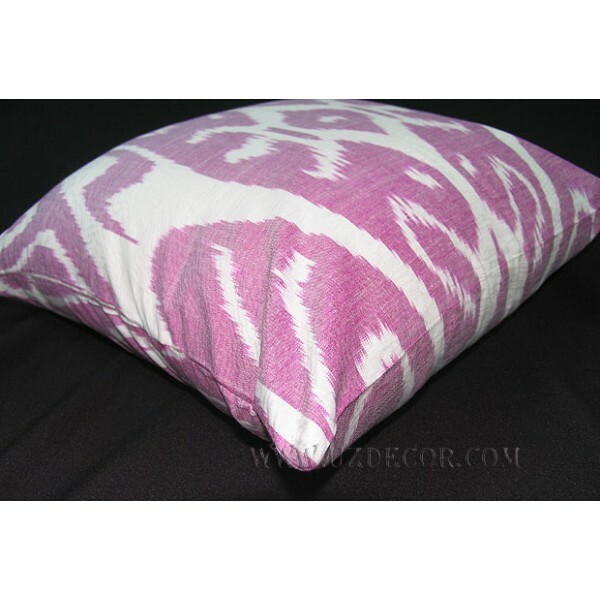 All ikat cloths have either their warps, their wefts, or, in rare cases, both warps and wefts dyed only in selective areas and only before those threads have been placed before the loom. The process of preventing the dyes from penetrating the entire warp or weft is known as 'reserving' or 'resist dye' and it produces the essential characteristics of ikat cloth. At the points where the reserved not dyed areas meet the dyed sections, carefully controlled amounts of color merge with one another, randomly creating subtle, slightly blurred patterns. This dyeing technique ensures that each abr (cloud) is unique, and it is this aesthetic quality which suggests an analogy with clouds. 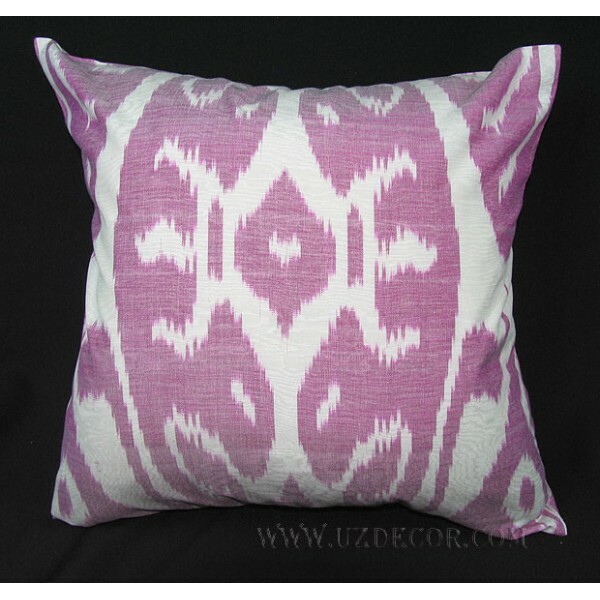 There are very many Uzbek handmade articles made of Ikat: clothes, pillow cases, variety of decorative handicrafts, bags, etc. It's a great item to decorate your interior! Consists - Silk-50% / Cotton-%50 . 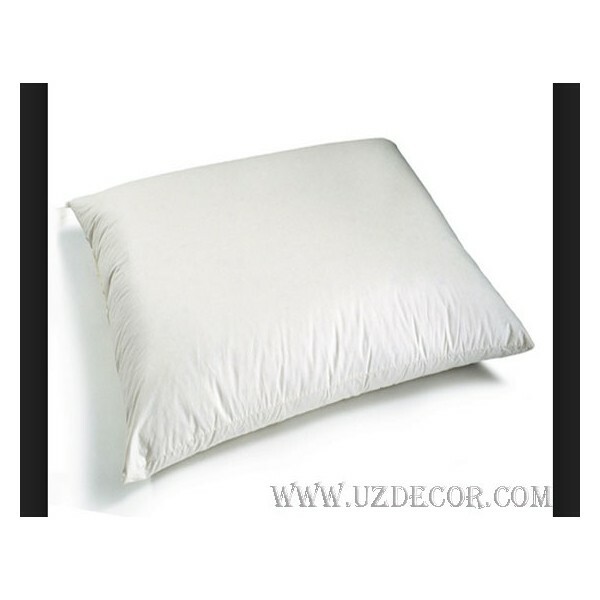 Quantity of 1 ready for using pillow.